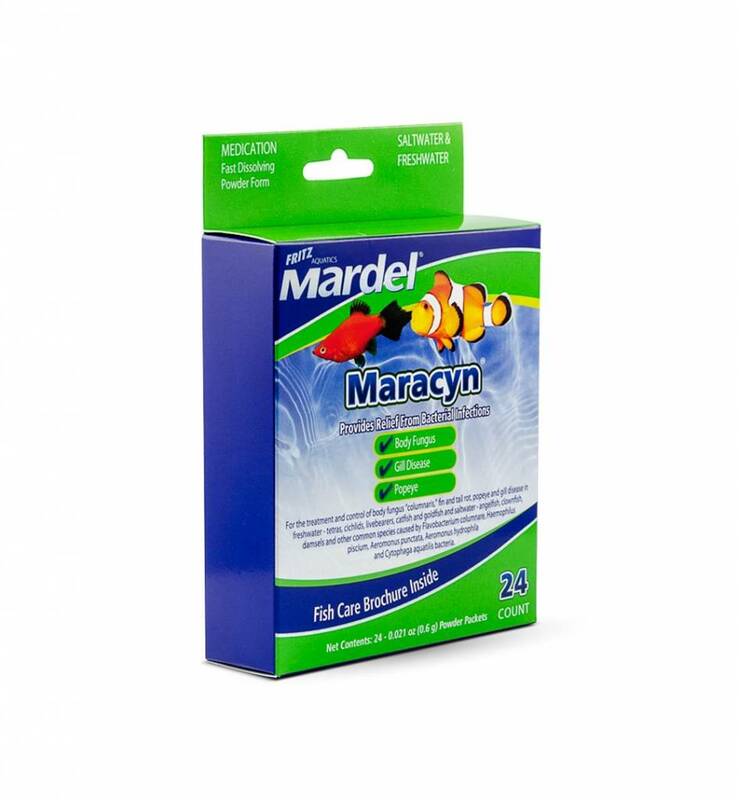 Mardel Maracyn® is a specially compounded broad-spectrum antibiotic (erythromycin) which has been shown to be effective against a number of pathogenic bacteria associated with ornamental fish disease. It was developed for complete but gradual dissolution in water. It is primarily effective against gram-positive pathogenic organisms. Symptoms of clamped fins, swollen eyes, heavy or rapid breathing, patchy coloration, change in swimming behavior or corner-hiding can be signs of possible bacterial infection. 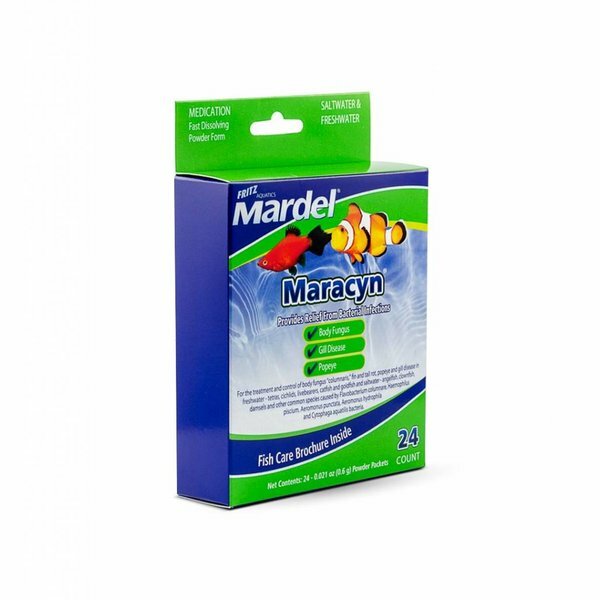 Mardel Maracyn® is non-toxic to invertebrates. Follow dosage directions as detailed on the product packaging. Add the contents of one package per 10 gallons of water and repeat every 24 hours for 5 days. Repeat this 5 day treatment only once if needed. Important: Treat for 5 days even if visible signs disappear. Maracyn® may be used concurrently with Coppersafe®, Maracyn® Two or Maracyn® Oxy. Maracyn® will not harm invertebrates. Maracyn® may cause excessive foam production in protein skimmers. Stop use of skimmer during treatment if excessive foaming is a concern.